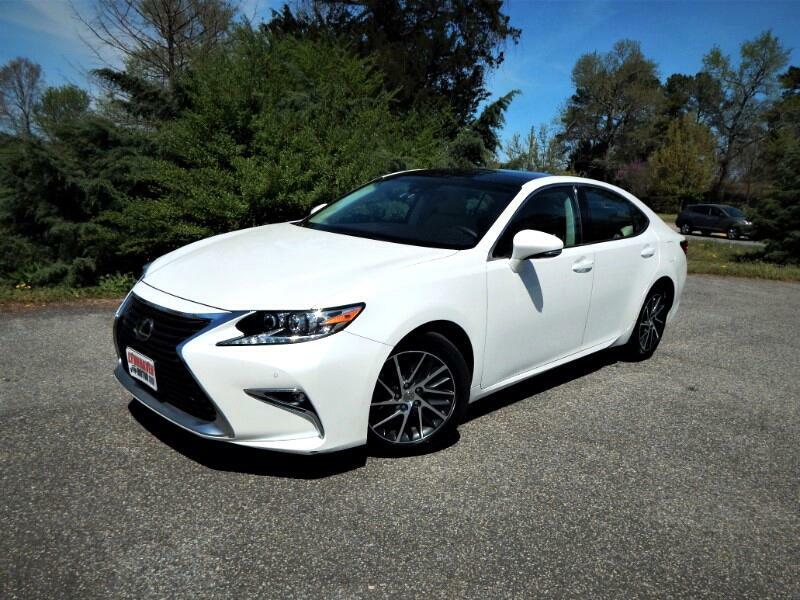 Pristine, One Owner, 2016 Lexus ES350 Luxury Pkg., PANORAMIC SUNROOF, NAVIGATION, LANE DEPARTURE SYSTEM, ACCIDENT AVOIDANCE, REAR VIEW CAMERA, Only 24k miles, LEATHER POWER HEATED/COOLED SEATS, RAIN SENSING WIPERS, BLIND SPOT MONITOR, CARFAX/AUTOCHECK and STATE CERTIFIED with BUYBACK GUARANTEE, DUAL ZONE CLIMATE CONTROL, PREMIUM ALLOY WHEELS, BLUETOOTH, Loaded w/Power Options, Steering Audio Control, STILL UNDER FULLY TRANSFERABLE FACTORY WARRANTY... The Lexus ES 350 is a very pleasant car to drive, sitting at a more than fair price for the luxury it offers. The ES has a tough job: be luxurious enough to satisfy current luxury car owners that want a midsize luxury sedan, and affordable enough to lure "regular" sedan owners into the luxury sedan market. In a bid to capture younger buyers, and bring brand unity with their newly designed GS models, Lexus has completely replaced the conservative image of the old ES with something much more aggressive. Most automotive journalists remarked that the redesigned Lexus ES has a sharp interior design. They said the ES has superb build quality. If you want a mid-size luxury sedan that is quiet, comfortable and filled with amenities, the Lexus ES is among the top in its class. As with any other of our vehicles, you may have this one pre-inspected by your trusted mechanic prior to purchase. We strive to only keep high quality vehicles with low mileage offered at the most competitive price. We are a family run independent Dealership with over 30 years of experience serving families, and our low overhead translates to lower prices for our customers. Each of our pre-owned certified vehicles goes through a 108 point check and Virginia residents receive a brand new State Inspection. Visit us online at www.lynnhavenmotors.com to see more pictures of this vehicle, or call us at 757-425-9300 today to schedule your test drive.